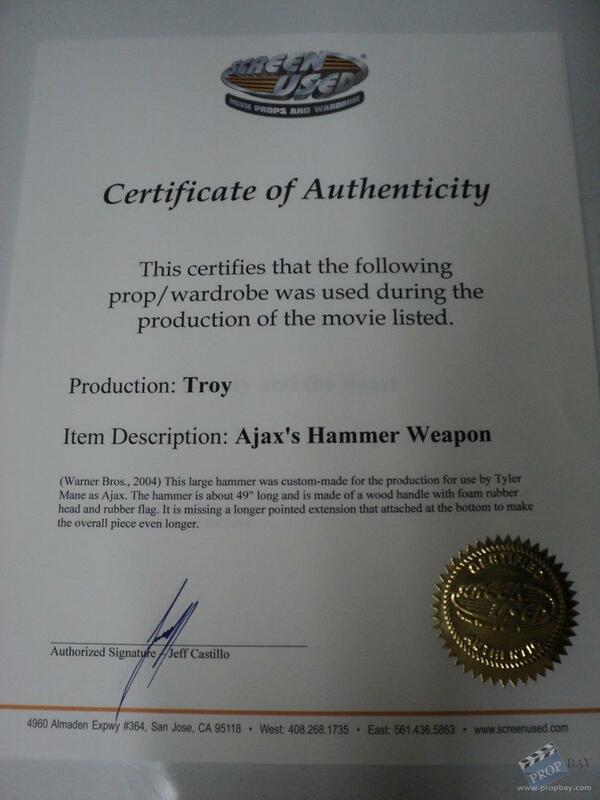 This large hammer was custom-made for the production for use by Tyler Mane as Ajax. 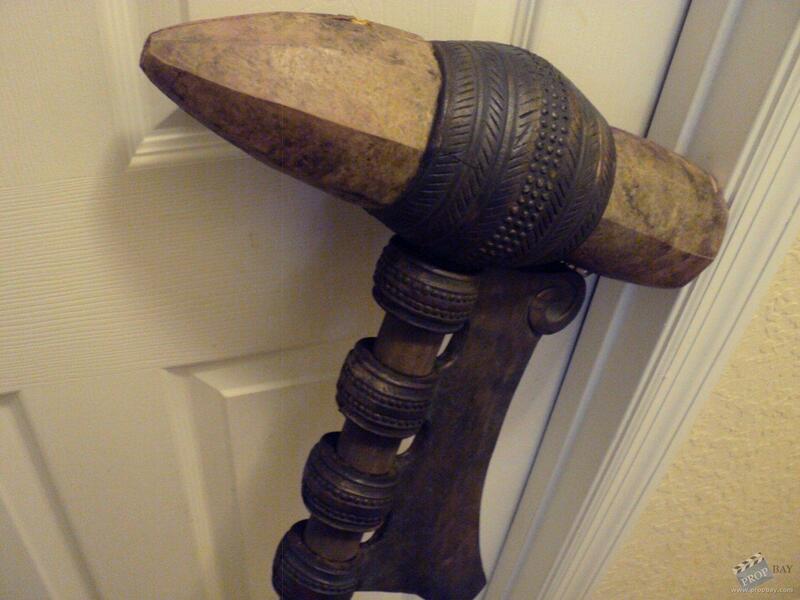 The hammer is about 49" long and is made of a wood handle with foam rubber head and rubber flag. It is missing a longer pointed extension that attached at the bottom to make the overall piece even longer . 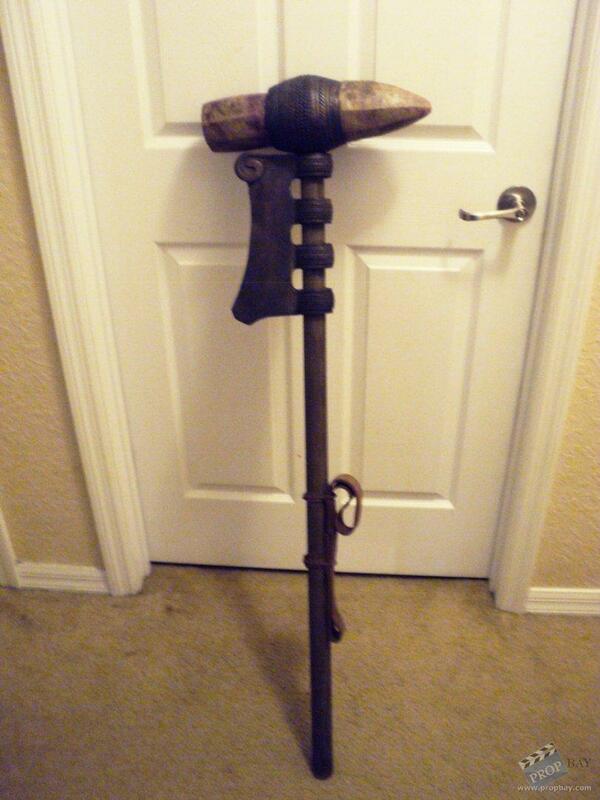 One of my favorite weapons used in ANY film, so I was extremely happy on this find. Has a Certificate of Authenticity from ScreenUsed. Added: 07-29-2012 - Viewed: 4848 times.